Our exploration of this crowded city continued yesterday and took us to an area in the west of the city, known as Little Venice. In glorious late summer sunshine, we walked along the edge of this junction of two canals and marvelled again at a hidden treasure presented to us by the Big Smoke. 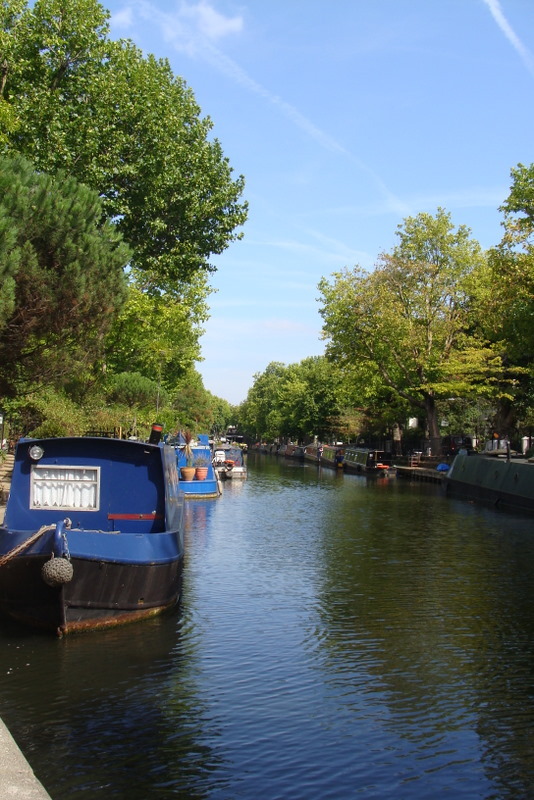 We travelled along the Bakerloo line as far as Warwick Avenue – yes, the very title of a song by Welsh singer, Duffy – and followed the finger boards to Little Venice in south Maida Vale. According to Wikipedia, the area is believed to have been so named by the English poet, Robert Browning, who lived in the area from 1862 to 1887. Browning’s Pool (pictured above), the junction of Regent’s Canal and the Paddington arm of the Grand Union Canal, bears further testimony to the influence of the poet in this area. We walked along the perimeter of the junction’s triangle, originally known as Paddington Broadwater when the junction was created in the 1810s, and enjoyed a lovely picnic lunch in Rembrandt Gardens. Artists’ studios on the east side of Browning’s Pool were demolished and replaced by this small park in 1975, so named to commemorate the 700thanniversary of the founding of Amsterdam, the ‘Venice of the North’. These two older gentlemen enjoyed the late summer sunshine so much they had a little snooze in it! 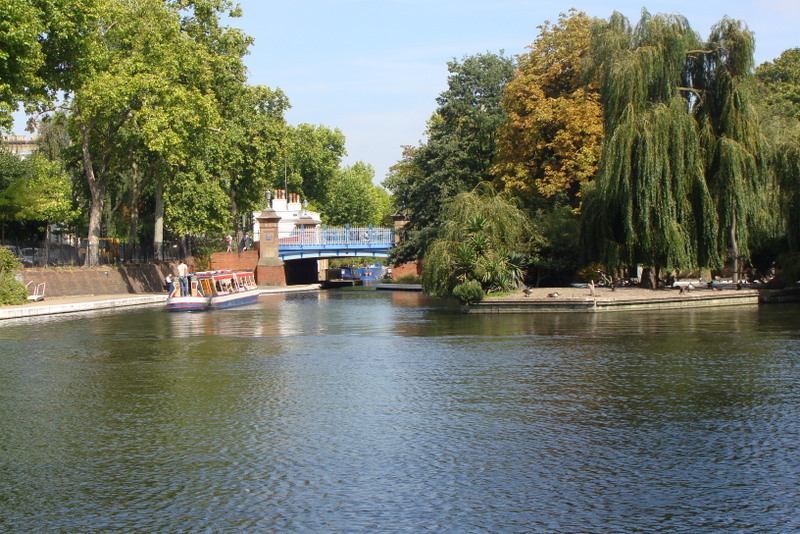 Apart from having been home to Browning, Little Venice has been home to short-story writer Katherine Mansfield, playwright Christopher Fry, novelist Elizabeth Jane Howard and Icelandic singer Bjork. 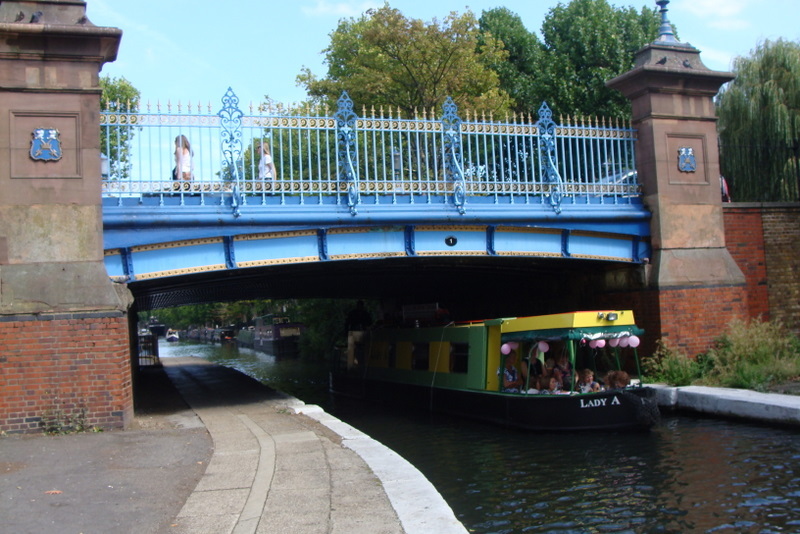 It is also home to the Canal Cafe Theatre, the Puppet Theatre Barge and the Waterside Cafe. The Waterside Cafe - we had an ice-cream here! 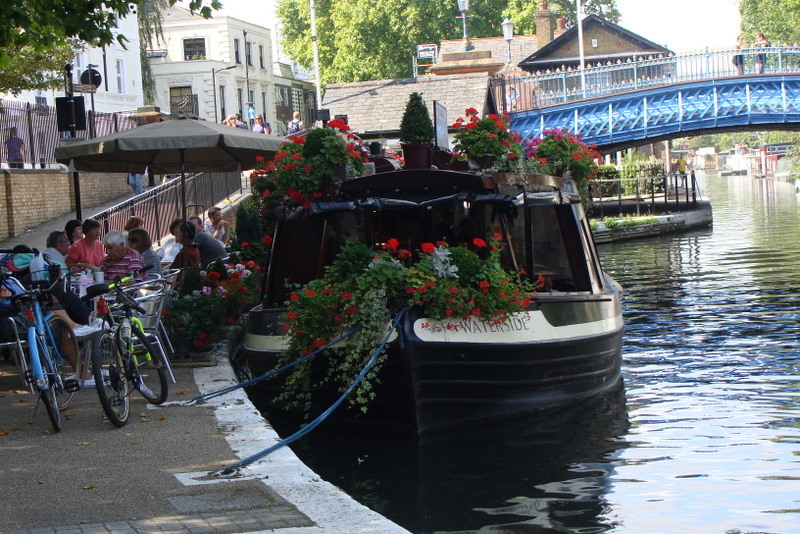 After our picnic lunch, we took the waterbus – a long boat – from Little Venice, eastwards around Regent’s Park, and on to our final destination of Camden Town. A delightful crew of a Scotsman and an Englishman instructed us in the health and safety guidelines for climbing safely into the boat, and then assured us that any marriages officiated by the captain on the 50 minute journey would only last for the duration of the journey. Just as well; the narrow seats were well uncomfortable. Our boat ride along the canal took us through the Maida Vale tunnel, a 250 metre long tunnel built in 1812. Architecture that ranged from the majestic to the common lined the canal as we wove our way past the London Zoo through to the heaving market town of Camden. Waterbuses go up and down the canal at regular intervals. A great idea for special occasions, as this 'hen do' indicates! Another outstanding day in this beautiful city of surprises.